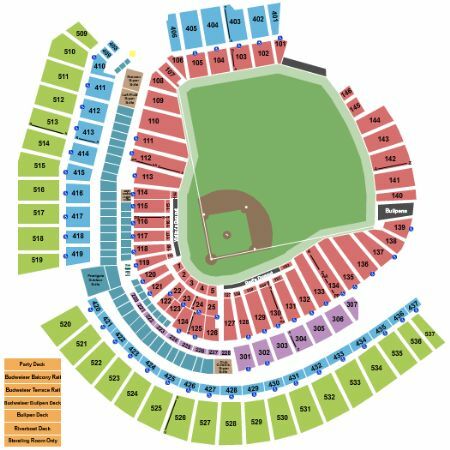 Cincinnati Reds vs. St. Louis Cardinals Tickets - 8/17/2019 - Great American Ball Park in Cincinnati at Stub.com! Third row. Visiting teams side. Does not include admission to event. Tickets will be ready for delivery by Aug 16, 2019. Home teams side. Sixth row in this section. Eighth row in this section. These seats are directly behind the home team dugout within the first ten rows. Aisle seats if entire quantity is purchased. Home teams side. Second row. Home teams side. Includes access to Scouts Club with private concession stands in a climate controlled environment. Padded Seat. Second row. Access to Champions Club. First row in this section. Food and non-alcoholic beverages included. Padded Seat. Food and full open bar included. In Seat Service. VIP Area/Club/Lounge access included. Access to Diamond Club. Food and full open bar included. Padded Seat. Waiter service included.